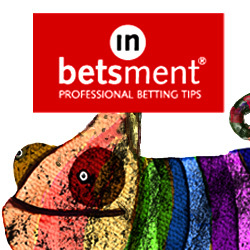 Get Top Tips for Cheltenham! It’s no secret that Cheltenham is nearly upon us – the action starts tomorrow in fact. If you’re anything like me – you’ll want to boost your profits at this year’s festival. My friend Nicky Doyle can show you how. Unlike many other betting services that churn out favourite picks you could get from anywhere – Nicky’s Bet Alchemist service is VERY different. This is a service that we have reviewed here at Honest Betting Reviews and we gave it a strong recommended rating, having made 38 points profit during our trial and over 750 points profit since starting tipping in 2011. And the Bet Alchemist’s record of picking high value priced winners at Cheltenham is second to none. He’s accumulated an astonishing 275.89 points and £13,785.32 in profits at the Cheltenham Festival since 2010. If you’d like to avoid needless losses this year – you need to check out what picks Nicky has on offer for Cheltenham 2017. Act now before his special Cheltenham page is taken down.